Richard I (8 September 1157 – 6 April 1199) was King of England from 6 July 1189 until his death. He also ruled as Duke of Normandy (as Richard IV), Duke of Aquitaine, Duke of Gascony, Lord of Cyprus, Count of Poitiers, Count of Anjou, Count of Maine, Count of Nantes, and Overlord of Brittany at various times during the same period. 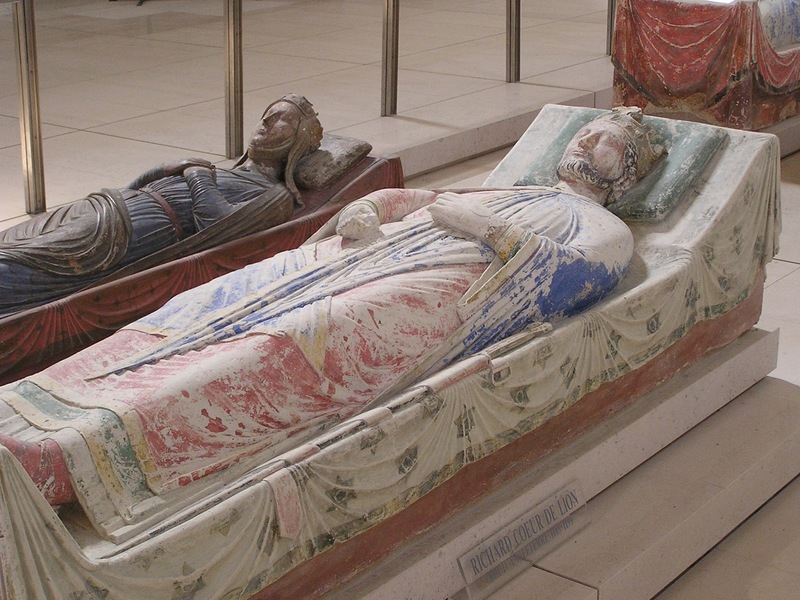 He was the third of five sons of King Henry II of England and Eleanor of Aquitaine. He was known as Richard Cœur de Lion or Richard the Lionheart because of his reputation as a great military leader and warrior. The Muslims called him Melek-Ric (King Richard) or Malek al-Inkitar (King of England). He was also known in Occitan as Oc e No (Yes and No), because of his reputation for terseness. Richard spoke langue d'oïl, a French dialect, and Occitan, a Romance language spoken in southern France and nearby regions. Born in England, where he spent his childhood, he lived for most of his adult life before becoming king in his Duchy of Aquitaine in the southwest of France. Following his accession he spent very little time, perhaps as little as six months, in England, preferring to use his kingdom as a source of revenue to support his armies. Nevertheless, he was seen as a pious hero by his subjects. He remains one of the few kings of England remembered by his epithet, rather than regnal number, and is an enduring iconic figure both in England and in France.